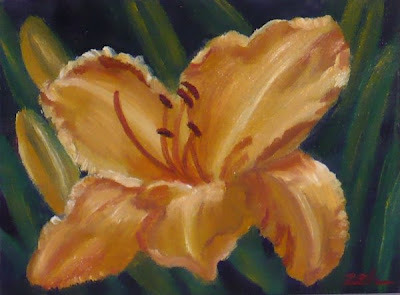 Here is an oil painting of a daylily that bloom near my kitchen porch. It is a large bloom with thick waxy petals that glow with a golden color. I think oils brings out the richness of the color in a beautiful way.